If convenience is your excuse for using single-use disposable water bottles, listen up. Our latest round-up of reusable water bottles are as just as handy as the kind you toss – with the added benefits of sustainability and style. 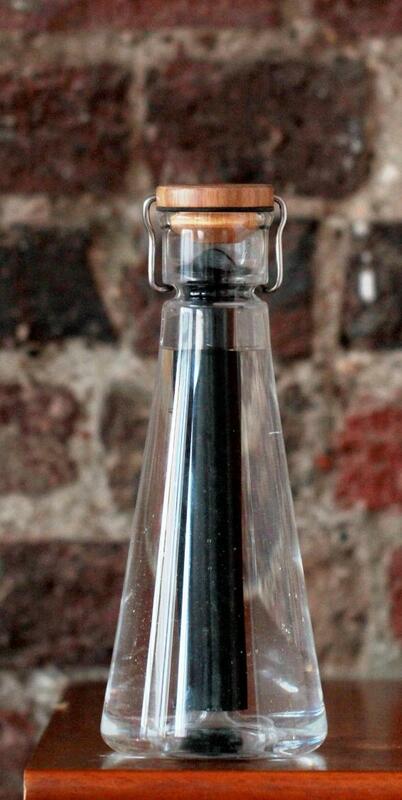 This unusual and beautiful water bottle has an elegant profile that’s downright uncommon in the industry. It passes for glass at first glance, but it’s actually constructed from Tritan™, which is free of BPA, BPS and other bisphenols. It’s incredibly durable and dishwasher safe. And then there’s the natural bamboo filter, activated using a traditional Japanese method to transform it into charcoal. Unlike other filters available today, the BU filter doesn’t rely on unnatural resins for its shape. Instead, the bamboo stalk is cut to size and treated in a special kiln. The charcoaling process opens millions of tiny pores in the bamboo’s structure, creating a surface area of activated charcoal with countless bonding sites. Bad odors and chemicals like chlorine are absorbed through these bonding sites while minerals like potassium and magnesium are released into your water for a crisp, silky taste. And when it’s time for a new filter, the old one can be crushed and buried in the garden – it’ll release nutrients into the soil and help your plants grow. The quick-release top, also made of bamboo, is a contemporary twist on old school pop tops. No straws and nothing to screw on or off. 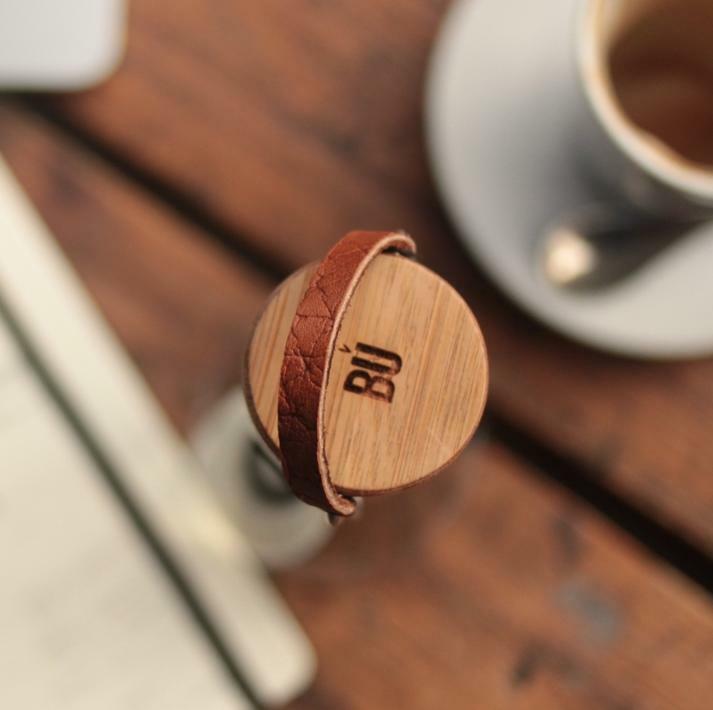 BU Water is an elegant alternative to single use bottles. Purify your tap water, and do it stylishly and sustainably. Pre-order your BU bottle now. 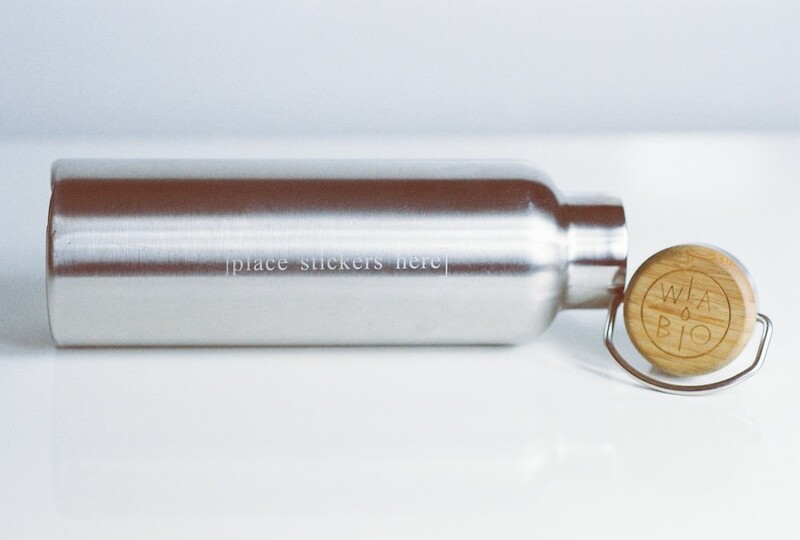 This stainless steel water bottle has a story, and it wants to share it with everyone. That’s the idea behind the entire company, actually – promoting the stories behind those dents and stickers and marks that make your reusable bottle special. Wabo is the optimal storytelling water bottle, and it’s constructed of food grade 18/8 stainless steel. It’s also airtight, double-walled and vacuum-sealed to keep your hot chocolate steamy and your cold beverages frosty for more than 12 hours. This is another option with a bamboo cap – something natural, sustainable and pleasing to both the eye and the hand. Slap on a few Wabo stickers – made from the powder of stone – fill up about 20 ounces of your liquid of choice, and get out there. Wabo is one of those simple, straightforward reusable water bottles. Nothing overly fancy, just the basics done well. Order your Wabo here (and don’t forget the stickers). The humble goal at TUR Hydration was a water bottle that can go anywhere. 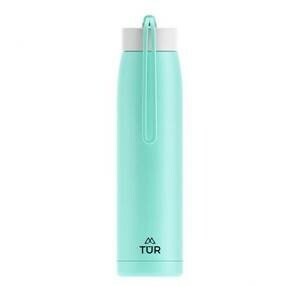 And with the Teton, a colorful, stainless steel, vacuum-insulated flask, that’s exactly what they did. With its light weight and temperature-retaining vacuum insulation, this simple, stylish water bottle holds 12 ounces in your choice of four lovely muted colors. Simple, functional, stylish and convenient. What more do you want in your water bottle? Get your Teton here.